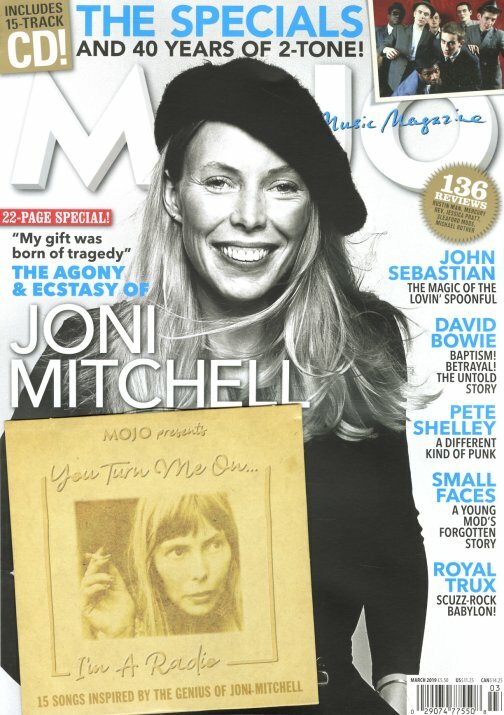 This issue's got a massive 22 page cover feature on the great Joni Mitchell – and also comes with a bonus CD that includes 15 songs inspired by Joni's genius too! Other articles look at The Specials and 40 years of 2Tone Records, the untold story of David Bowie, and Pete Shelly, John Sebastian, Small Faces, and Royal Trux – plus the magazine's always-great section of reviews and other music news! © 1996-2019, Dusty Groove, Inc.